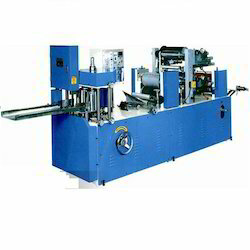 Manufactured in compliance with the set industry norms and guidelines, quality of this Paper Napkin Making Machine is highly standardized. The finest raw materials and modern technology applied in its making, gives the product, superior precision, strength, functionality and functional life. In addition to this, the offered range is reasonably priced. Capacity 400 to 450 sheet per min. Capacity 275 to 300 sheet per mint. For the purpose of making the Napkin Making Machine available in the market, we engage in the utilisation of high-grade raw materials and modern machines, as per the set industry norms and guidelines. Owing to this, the product is known to have a superior performance and a longer service life. In addition, the offered product with its standardised quality and reasonable pricing is widely acclaimed and asked for. 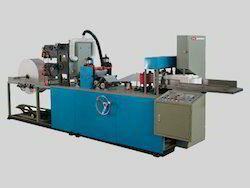 Looking for Paper Napkin Making Machine ?